From government meetings and foreign media to Facebook groups filled with diaspora Estonians, Narva and its famously majority Russian-speaking population are popular hot topics that are typically magnets for strong feelings. Often, however, certain centrally important voices are conspicuously absent from these discussions: those of Narva residents themselves. 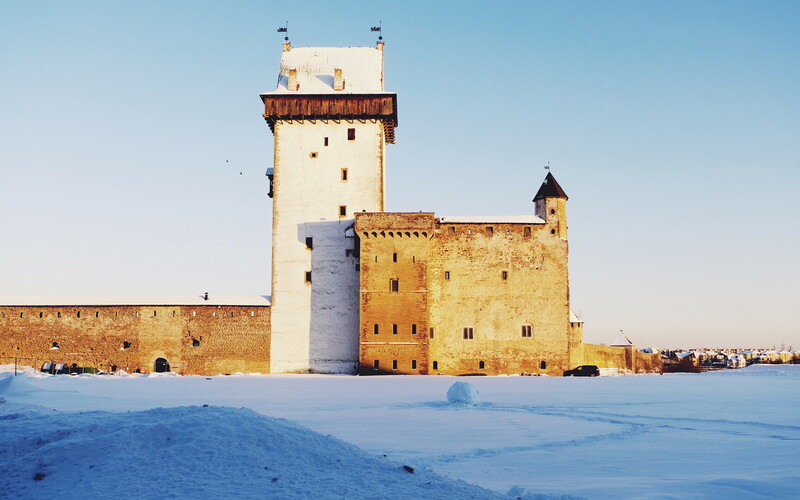 ERR News' Aili Vahtla took two days last week to travel to Narva and speak to some of its people directly — about themselves, their lives, and their city. Thursday morning was an exciting one for many Narva residents — the Integration Foundation, whose main office was just relocated to Estonia's easternmost city, was opening registration to its Estonian-language courses, and available spots were sure to go quickly, as they always do. 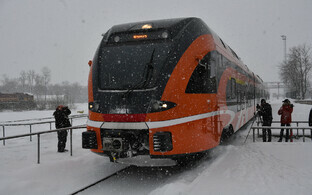 Last year, every last spot in Tallinn and Narva alike was snapped up in under an hour and a half. Irina* wasn't sure what time registration would begin. She already has Estonian citizenship; she took the necessary exams in the early 1990s already, and opted for Estonian citizenship for her children, both now grown, as well. 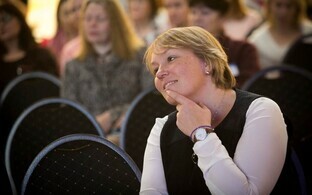 But she was interested in improving her language skills even further. "The last exam I took was ten years ago, and then I took a break," she explained. "But if I'm able to register today, I'd like to start attending language courses again." Irina first started learning Estonian in her 30s. She was born in Russia and moved to Estonia with her parents as a young girl, but attended university in St. Petersburg. Asked why she chose to finally start learning the local official language, she stated matter-of-factly, "I wanted to have a career. I didn't have a job at the time, but I had a degree, and I wanted to make something of myself." No more than an hour later, she flew back into the room. "Why aren't they offering C1 language courses?" she demanded to know. "I was able to register, but they aren't offering any C1 courses! I would have to take the bus to Sillamäe or Jõhvi after work three nights per week if I wanted to take C1 courses. This is ridiculous. People want to improve their Estonian! Tell them we want C1 courses!" Just one day earlier, the exact matter of C1-level Estonian language courses had come up when I spoke with Irene Käosaar, the director of the Integration Foundation, at the foundation's temporary offices in Kerese Centre — my first stop after stepping off the bus from Tartu on Wednesday morning. "With each year, the demand for higher-level language courses increases," she noted. "For example, we are not offering C1-level courses in Narva this round, and people are already calling us and asking why aren't we offering C1, they want C1 courses! We'll see, and we'll gather info on demand, and if there really are that many people interested, then maybe we can offer them something." According to Ms Käosaar, the issue isn't a lack of interest; it's a lack of qualified teachers. "At the A1 and A2 levels, I personally believe, anyway, that if you speak Estonian and are empathetic and the least bit intelligent, then you can teach Estonian at the A1 and A2 levels," she said. "You have to get their eyes shining, and aren't allowed to spark fear in them that they don't or can't do it. At that point, every single word that comes out of their mouth [in Estonian] is pure joy." On that front, the Integration Foundation trained its own Estonian language teachers. But once you start reaching the highest levels of language instruction, good personal language skills and even good intentions alone are not enough anymore — you need to have a background in philology. And the entire country is facing a shortage of qualified Estonian language teachers, speak nothing of Narva. C1, described as Effective Operational Proficiency, is the second-highest language level represented in the Common European Framework of Reference for Languages (CEFR), below the C2 or Mastery level, but two steps above the B1 or Threshold level that is required to obtain Estonian citizenship via naturalisation. And so it perhaps may surprise those convinced of the old trope that "Russians in Estonia aren't interested in learning Estonian" that many in fact are — and beyond the bare minimum at that. The degree and factors involved in this motivation vary, of course, but among those I spoke with in Narva, there were a number of common themes — obtaining Estonian citizenship, for those who had not yet done so, and the job market, which expanded significantly if one spoke Estonian as well, even putting those who spoke Estonian and Russian fluently or near-fluently at an advantage over those who spoke no Russian at all, for example. But many also simply felt, sooner or later, that they wanted to learn the language so they could become more active members of Estonian society, speak with more Estonians, and consume Estonian-language culture and media, for example. Ekaterina* was born and raised in St. Petersburg. Her husband, who was born in Siberia, fought in the Soviet-Afghan War, and after the war was given a one-room flat in Narva as a sort of token of thanks for his service. Her father-in-law also had a one-room flat, and they traded the two flats for a larger three-room flat. As she and her husband had been living with her parents in St. Petersburg, they decided to move to the much more spacious flat of their own in Narva, putting them on the Estonian side of the border once Estonia regained its independence in August 1991. In her case, she regrets that she did not start trying to learn Estonian sooner, but blames no one but herself for this. "I used to pay for Estonian courses myself, but now I can attend them for free," she said, praising the support offered by the state in that regard. "I think more people should attend Estonian language courses. You have to speak Estonian here. If I go to the doctor in Tartu, for example, I don't understand enough Estonian and I feel very uncomfortable. Does the doctor understand me? Can I understand the doctor? But it is my own fault that I don't speak better Estonian." Narva native Natalie, who came from a mixed Russian-Estonian family, recalled that prior to World War II and the occupation, everyone spoke Estonian in town, including its Russian population, but was disappointed by just how many locals do not speak Estonian today. "More opportunities should be offered for learning the language!" she said, adding that her art salon was interested in launching a so-called language cafe in order to promote practicing of the Estonian language. Nonetheless, she has noticed hearing the Estonian language around town increasingly more often, which makes her happy. At this point it is worth clarifying what may seem obvious to some, and literally goes without saying in Narva itself — that the personal identities of the city's residents are in no way black and white, Estonian or Russian. At best we can group people by native language, Estonian or Russian, but even that breaks down as a not-insignificant number of Narva natives, for example, grew up bilingually. When people talk about Narva's "Russian-Estonians," are they talking about native Russian-speakers? Native bilinguals? Those from mixed families? Bilingual households? Are they talking about those forcibly relocated to Narva from other parts of the Soviet Union during the occupation? Their descendants? Or recent voluntary immigrants who have come to Estonia in search of higher wages, better living conditions and better future prospects for their children? Someone who can be described as Russian-Estonian could easily be a Russian citizen, an Estonian citizen, or a stateless person, known in Estonian as a grey passport-holder, referring to the colour of Estonia's alien's passports. And unsurprisingly, all of the above live in Narva together, and based on conversations I had with representatives of various aforementioned categories, none of them are terribly pressed on a daily basis to fuss over existential questions of who they are or what label fits them best. Many echoed similar sentiments that the desire to label them tends to come from the outside, whether from politicians in Tallinn or the media. Even the citizenship question is simply a matter-of-fact one; in the 28 years since Estonia has regained its independence, the number of stateless persons has shrunk year after year, and more and more people have opted to pursue — and received — Estonian citizenship. Others have opted for Russian citizenship, or had it to begin with and chosen to keep it. At this point, according to Ms Käosaar, many stateless persons in Estonia today actually remain stateless by choice, as their alien's passports allow them visa-free travel in both Russia and the EU, and they are still afforded many of the same rights and protections as citizens. Andrei is a native of Narva and an Estonian citizen, from a mixed Russian-Estonian family. According to him, the city, geographically positioned at a crossroads of many different cultures, has actually always been a very multicultural city. "People of all different ethnicities lived here, and at one point the city was home to 12 different churches — and Catholics, and Jews, and Russians," he said, referring to Narva prior to its bombing and Estonia's decades-long occupation. "It was a border city. People came here from everywhere. Now when you go to Russia or Ukraine, locals there can tell right away that we are different. That even Estonia's 'Russians' are not like Russians. Our mannerisms, language, culture, accent — everything has changed." To him, a more pressing issue locally than questions regarding identity, language skills or even the often reported-on looming threat to the east — in Narva's case literally just on the other side of the river — is the issue of jobs. He recalled that historically there used to be more jobs in the city, at various factories, making it a more attractive destination for people. Kreenholm Manufacturing Company, a large textile production complex located on an island in the Narva River, once employed over 10,000, for example. "It would be nice if things developed here further," he said. "If people have work, then they have free time and come up with ways to spend it. But if they don't have work, then they just spend their time job-hunting and don't end up having time for anything else." He also expressed concern about how people in the city come and go — and ultimately more often go, and don't come back. "And so we end up with just pensioners remaining in town," he continued. "I get the feeling lately that everything is being done to drive young people out of Narva, and to ensure that the city dies out. That only pensioners end up remaining." Ms Käosaar discussed related concerns with me at the Integration Foundation — namely the tendency, one that others have also brought up — for young Narva residents who speak remotely enough Estonian to head to Tallinn or Tartu for university and then, having earned their degree, tending not to come back, as there are no good specialist jobs to be had in Narva. She expressed hope, however, that things like the foundation relocating its main office to Narva, bringing with it a couple of dozen job vacancies for specialist positions, will help, as while it may be a relative drop in the bucket, a couple of dozen jobs may mean a total of a couple of dozen families choosing to remain living in Narva. The University of Tartu Narva College is also another potential magnet for fresh blood, or at least an educational institution that may stop some young people from leaving for Tartu or Tallinn, but the degree programmes currently offered at the college are limited. Still, this is yet another resource and avenue that could be explored further. And in the meantime, it is yet another employer — for administrative personnel, teaching faculty and cafe servers alike. Piret* was born and raised in an ethnic Estonian and Estonian-speaking family in Narva. Her husband was also Estonian, and they sent their child to school at the Narva Estonian Upper Secondary School, the city's only Estonian-language school. Nonetheless, she, like both her husband and their child, learned Russian as well, and uses both languages on a daily basis. For her, sources of concern at the local level likewise included a limited job market, especially for those who did not speak Estonian, or speak it very well. She also noted that when she herself was a child, the city was home to a total of 14 different schools, some half of which remain open today, causing her to worry whether there really are just so few children left in the city, or whether there were other factors involved in the closures of the other schools. "It feels as though we must still be in a hinterland here," Piret also admitted. 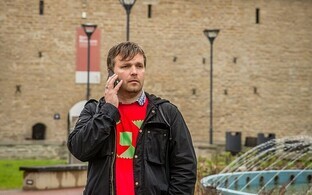 "The state should contribute more to Narva. Like when St. Alexander's Cathedral went bankrupt. There was talk meanwhile of the church being sold into private hands — an investor from Russia. Now this demonstrates the state's attitude toward our city — selling a building under heritage conservation protection into private hands! 'Let's sell it to a Russian investor!' Well hel-lo…"
She praised Katri Raik, who has served as Minister of the Interior since last autumn following her predecessor Andres Anvelt's sudden resignation. Despite being from Tartu originally, Ms Raik seemed to be a true Narva patriot, she found, and has done a lot to benefit the city, including attracting further new talent and energy to Narva over the years. On a related note, a lot of new blood has also had a huge positive and invigorating impact on the city, including an increasing number of cultural events, such as last summer's smash hit "Nightingales of Kreml," which was held at the abandoned Kreenholm textile factory. 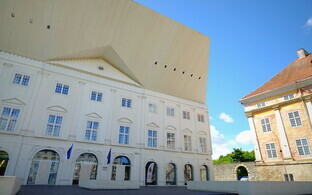 The new Narva arm of the Tallinn-based Open Space (Vaba Lava) theatre was opened relatively recently as well. "Last week, a Russian-speaking coworker of mine attended an Estonian-language theatre performance; Russian-language subtitles were provided on screens on the side," Piret recalled. "And she went, and the next day she told me that the theatre had been packed! An Estonian-language performance. Completely unheard of. I hope more events are organised here in the future as well." Similar sentiments about recent developments were echoed not only by the Integration Foundation's Ms Käosaar, but also by Dr Yar Muhammad, a native of Pakistan and TalTech graduate who works as an assistant professor at the University of Tartu Narva College, among other related responsibilities. 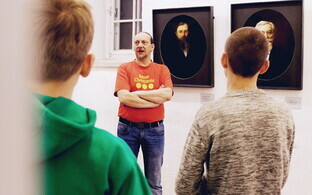 "People are happy that the government has implemented very good initiatives for the development of the region, including Open Space, which offers locals opportunities to participate in events, Narva College, which provides quality education in a wide range of disciplines, and the Estonian Language House, which strives to address the Estonian language barrier and aid in integration," he highlighted, also noting the upcoming partial relocation of the Estonian Academy of Security Sciences and the utilization of the abandoned Kreenholm factory as an event space. 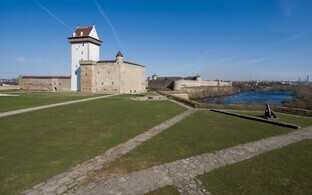 Dr Muhammad found that the attention being paid to Narva is increasing by the day, and the border city is receiving this extra support and attention from the state as politicians and high-profile personalities are visiting and drawing extra attention to it. Other recent initiatives reflecting the support and attention being received by the city include the establishment of a business park, which is to contribute to the region by creating jobs, politicians from various parties visiting the city more often and communicating directly with locals in order to better understand the problems they are facing and work on solutions together. One gesture that was especially popular among those I spoke with was President Kersti Kaljulaid's time spent working in Narva last autumn. "She gave special attention to Narva, and visited many times in the last couple of months, even staying a couple of weeks, and she visited many different places, had meetings with many officials, participated in local events, and even met with local people to help understand the reality, concerns and problems as seen on the ground," Dr Muhammad said. Ms Käosaar also fondly recalled overhearing two older women speaking in Russian on the street after the presidential motorcade drove by at one point. "'Did you see? That was our president going home,' one told the other. And that simple statement spoke volumes to me. 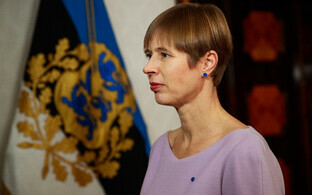 Because she called Ms Kaljulaid 'our' president, and referred to the Guesthouse Elektra where she was staying as home." One major point of concern echoed by many of the people with whom I spoke was the hope for improved infrastructure, including transport connections between Narva and other cities, particularly Tartu, and improved amenities to offer locals and tourists alike, including accommodation and dining establishments. These could in turn lead to more jobs and more business opportunities for locals and newcomers alike. But Narva has been shortlisted for the 2024 European Capital of Culture, so there is hope that this may spur interest in making these improvements in the next few years. Another frustration expressed to me by Ekaterina but no doubt shared by other Narva residents as well is the fact that Estonia legally does not allow dual citizenship, citing national security concerns whenever the issue is brought up again by politicians or the state. "The US allows dual citizenship?" she asked me, as I myself am a dual Estonian-US citizen, and both by birth. "If Estonia truly allowed dual citizenship, I would apply for Estonian citizenship. I have already completed the exams, and Estonia is prepared to grant me citizenship on condition that I give up my Russian citizenship. But I don't want to give up my Russian citizenship, because I still have family in Russia, whom I travel to see visa-free, as do my children, who travel to Russia to see their grandparents." Ekaterina is frustrated by the double standard that exists. According to the Citizenship Act, Estonia does not allow dual citizenship, and requires children with dual citizenship to choose between the two upon reaching the age of 18. According to §8 of the Constitution of the Republic of Estonia, however, no one may be deprived of an Estonian citizenship acquired by birth. And so thousands of people like me exist worldwide — members of the Estonian diaspora, who were born and fully legally remain dual Estonian citizens. Politicians have also introduced bills to implement limited dual citizenship, allowing Estonian citizens by birth to become naturalized citizens of the US, Canada, the UK and a limited number of other countries without forcing them to renounce their Estonian citizenship as a result. And yet, there seems to be little interest in allowing Russian-Estonians dual Russian-Estonian citizenship, despite the fact that doing so would more likely than not lead to an increase in the number of Estonians, as current Russian citizens and stateless persons alike would finally be allowed to go that route. Some politicians have been bold enough to address this elephant in the room, but at best simply referred to security concerns that allowing dual Estonian-Russian citizenship would introduce. 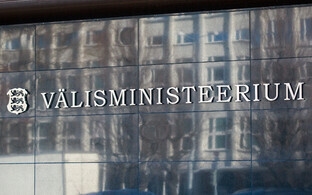 Ekaterina, however, said that she and the average person like her is not a security concern for Estonia. "I just want to be able to live here but visit my family in Russia," she said, adding that should Estonia ever change its laws, she wouldn't hesitate for a second to apply once and for all for Estonian citizenship. While my conversations with locals over a period of just two days in no way covered absolutely everything there was to discuss about the city and its people, one last question remained for now, based on another often-repeated trope in Western media, and the answers to which varied across the board: is Narva at risk, despite Estonia's membership in the EU and NATO, of becoming the next Crimea? Many of the people I asked about this laughed it off, writing it off as fearmongering by Western media and politicians and journalists in Tallinn. According to ERR's Russian-language radio news editor Jüri Nikolajev, however — himself a Narva native and resident from a mixed Russian-Estonian family — the preconditions for this potential doomsday scenario actually do exist. "The majority of Narva residents are not Estonian citizens, and they continue to live and develop within the Russian sphere of influence, support Russia's foreign policy stances, eg 'Crimea is ours! ', and Estonia is considered home more in terms of territory than as a country," Mr Nikolajev described, adding that Estonian state powers are regarded with ridicule and considered puppets of the US. Many Russians in Estonia also feel as though they have been discriminated against ethnically. "This is what is observed outside of Estonia and leads to yet more articles framing Narva as the next possible Crimea," he added. He also warned that Russia has yet to acknowledge Estonia as a mature independent state as it has Finland, for example, and added that while nobody will officially say this out loud, Estonia's independence is subconsciously regarded as more of a temporary phenomenon. And so there actually is reason to be concerned. On the other hand, he continued, the aforementioned factors alone are not enough for a repeat Crimea episode in Northeastern Estonia. Crimea remaining a part of Ukraine was a much greater injustice in Russia's eyes than an independent Estonia, and Russia also simply took advantage of the chaos that existed in Ukraine at the time of its illegal annexation of the peninsula. Ukraine also lacked influential allies at the time that may have been able to influence Russia's decisions. Narva residents aren't currently ready to throw themselves back into Mother Russia's arms yet either, he continued. "Also, I see no reason today why Russia should want Narva for itself. Narva doesn't say anything to the average Russian resident beyond what they learned in the history books about the Northern War and Peter the Great. And so Russia would have to put a great deal of effort into justifying the need to occupy Narva right now." But, as he said, the preconditions do exist, and all it would take is the right match to light the tinder, whether it is an extreme international crisis, the escalation of ethnic tensions, and/or media coverage of some kind of divisive event sparking outrage. Mr Nikolajev didn't have a straightforward, surefire answer regarding how to prevent this from happening either. While he considered it positive that Estonia recognises the fact that it shouldn't let its guard down, St. Petersburg native and hopeful future Estonian citizen Mihhail*, meanwhile, had a slightly less immediately concerned take on the matter. "This topic is nothing new," he said. "Historically, Russia has always liked occupations. Corruption is a point of national pride in Russia as well. In order to get your people to really love you, you need some territorial occupations as well! By occupying Crimea, Putin guaranteed his presidency for life, and earned a ton of respect besides. At that point, why Narva? "My wife studied at St. Petersburg State University, where she had an art teacher that had a big vendetta against the Baltics," he recalled. "The students quickly realised that if they didn't feel like doing anything during the lesson that day, they'd ask the teacher something about the Baltics and let her go off for the rest of the lesson." As for the average Russian-Estonian? According to Mihhail, the attitude still persists in certain Russian residents, but generally tends to remain on the passive side. Every spring, 9 May, or Victory Day, marks the peak of the distinctive orange and black striped Ribbon of St. George being stuck everywhere, and there is a Jeep parked by the house covered in messages like "Attack Berlin!" But they're losing more and more steam each year, maybe because these messages aren't working — Berlin is still standing. Still, this topic does come up in certain circles, almost casually, and typically after a few shots of something strong, he noted. It gets brought up almost in passing, though — "Today we won three Olympic medals; tomorrow it's forecast to reach -20C out, and the day after that, we will take back Estonia." In that light, however, such talk comes off less "Get the hell out of Dodge" and more "Furthermore, Carthage must be destroyed." In the meantime, I cannot recommend visiting Narva enough. As of last month, I have lived in Estonia for seven years now, and in that time I have never been so warmly received by a series of strangers here as I was over those two days last week. Genuine interest in people's stories and a smile go a long way in building bridges even despite language barriers, and no one article, regardless of length, will do justice to all there is to see, hear and discuss with all the different people of Narva.